Namco Bandai has released the first gameplay trailer of Dark Souls 3, showcasing some of the environments and enemies that the third iteration of the popular franchise has in store. Namco Bandai announced a few days ago that Dark Souls 3 will be playable at Gamescom 2015 for the first time. Dark Souls 3 is under development by acclaimed Japanese studio From Software and directed by Hidetaka Miyazaki. Dark Souls 3 is the latest chapter in the critically acclaimed Dark Souls series which will take players across a wide variety of locations in an interconnected world. Dark Souls 3 will release on Xbox One, PlayStation 4 and PC early 2016. 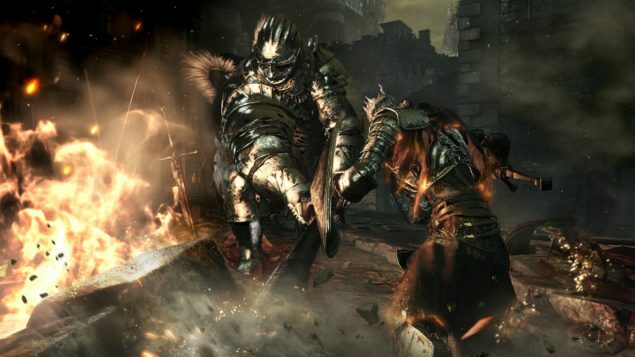 We will bring you any new information on Dark Souls III as soon as it becomes available.